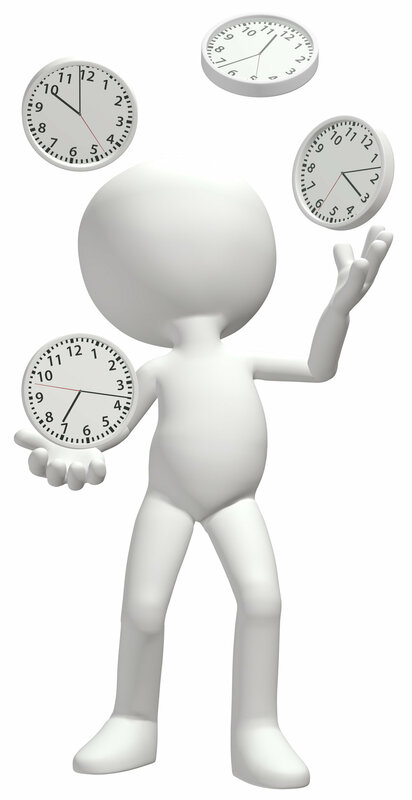 Effective time management is about consciously choosing to make time, not about finding time. It’s about establishing rules and habits for ourselves so that we invest time optimally. This includes paying attention to specific periods of the day when our brains are most aligned with the task to be performed. One tool, for example, is to divide the day by energy blocks so that the most intensive work or activities can be performed at the times of the day when our bodies and minds are most energetic and focused. The primary challenge in time management is the pressure we feel from outside demands, in conflict with what we know is the best use of our time. The solution lies in gaining control over how we spend or invest our time. “It’s not enough to be busy,” suggests Henry David Thoreau, “so are the ants. The question is what are we busy about?” For example, we should take control over when we read or respond to emails, answer our phone, or return phone calls, and when we complete an important but not urgent task versus when we complete an urgent but less important task. We need to prioritize. We need to habituate to efficient systems of time management. And we need to develop scripts for how to deal with distractions and demands. “Until we can manage time,” says Peter F. Drucker, “we can manage nothing else.” Partners in Thought® time management support includes many tried and true techniques. For example, we recommend that, before going to bed, our clients prioritize in writing their tasks for the day and week ahead, with particular attention to identifying all tasks that can be delegated and to whom. Other examples include limiting the periods we check our emails; responding to all emails at the time we first read them, unless they take more than a minute to do so; maintaining effective task lists, reminders, and calendars; establishing one’s values and goals and then ensuring that tasks are aligned with those values and goals; refraining from working on problems and solutions until we have the data we need to do so; capturing ideas and thoughts (digitally or on paper) so our brains can let go of the tight hold on those thoughts and free up mental space; more fully delegating responsibilities; reading efficiently (instead of straight from beginning to end); learning technological tools and shortcuts that can save us much more time than the time we spend learning these shortcuts; and fighting both procrastination and perfectionism. High achievers can particularly benefit from attention to time management and prioritization because of their natural tendency to prioritize perfection over progress. Some of these tools require mere technical changes. Others may require adaptive changes, such as addressing the source of your perfectionism or your resistance to delegating responsibility. (For discussions of technical versus adaptive changes, click to the page about Forming and Changing Habits or Sustainable Behavioral Change.) Even without one-on-one coaching, Partners in Thought® interactive workshop on Time Management can set your life on a new trajectory.